Specially formulated to eliminate malodors in washrooms. 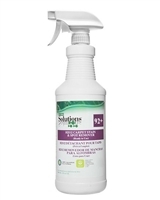 Eliminates bad odors of urine and excrements at the source. 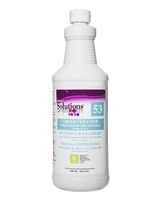 Multi-purpose cleaner, bleach, degreaser and odor eliminator.Multi-purpose cleaner, bleach, degreaser and odor eliminator. A RTU, heavy duty, H2O2 carpet spot & stain remover. Great for pet spots (urine, feces, vomit) and for coffee, tea, red wine, black marker, mustard, ketchup, soda, grape juice, oil and general soils. CRI Seal of Approval. A new technology floor restoration compound, specifically formulated to clean, polish and improve slip resistance on any floor in one simple step. Specially designed for washing microfiber cloths and mops. Learn about microlaundry cleaning here! Use ECOgent as the laundry detergent to protect your investment in microfiber cloths. Ideally suited for use with household and small commercial applications. 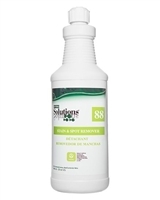 Is specially formulated for the control of bad odors and removal of stains caused by organic matter. Will not damage fabrics, can be sprayed directly on furniture, draperies, carpets and other fabrics to control and neutralize odors. This new problem-solving technology break through encapsulates the odor at its molecular source for permanent odor control, all that is left is one of three new mild fragrances (lemon lime, fresh scent, cinnamon spice). 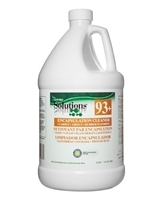 A quat-based hospital grade disinfectant in an economical concentrated form. A one step neutral cleaner designed to remove embedded soil quickly from all hard surfaces without leaving any residue. A highly active concentrated stripper that is fast acting, economical and easy to use • Very low odor!